As Chris Lytle puts it, the transition from sales into sales management can be an interesting one. In his book, The Accidental Sales Manager: How to Take Control and Lead Your Sales Team to Record Profits, Chris talks a lot about the transition into management, and just how drastic it is. Most obviously, but often overlooked: new managers are really good at selling, and have no experience in managing. This dynamic, more often than not, creates a natural tension for new managers to hit their numbers by doing all of the selling for their team on their own. Here’s three key words for new sales managers to spend some time thinking about. SKILL LEVEL APPROPRIATE. When that new sales manager stopped selling, they were most likely one of the top sellers on the floor. The toughtest challenge for a new manager is being faced with sales people that are not as skilled as you once where. This can be immensely frustrating. Accept that your team, on average, will not all be top performers. If they’re new to the organization they will have a lot to learn. Accept that they will not learn as fast as you want them to learn. Rather than filling their heads with every piece of knowledge you have all at once, focus on teaching them the most important skill level appropriate tactics that they’ll need to eventually get to the top of the sales charts. Now that we’ve accepted that new people won’t be as good as experienced people, we also need to accept that it will take time to get there. In addition to always being mindful of teaching skill level appropriate tactics, a new manager must also set the example in when speaking to client in front of the team. More easily said than done. Because your sales pitch is engrained and you’ve been doing it that way for a while, this will be hard. But remember, sales people will copy what their managers do on the phones. If you say one thing, and do another, it will send the wrong message to your team. What do individual contributors and managers have in common? They both have a target to hit. Now that the individual contributor has become manager, its going to be really easy and comfortable to just go close business themselves. Now that we’ve realized that the typical sales team is not all top performers, and that it’s going to take time for them to learn how to close, its even more tempting for the manager to do it themselves. Closing is your comfort zone, and its comfortable because it’s what the manager had been doing well all this time as a sales person. Teaching sales people how to sell and coaching them through their failures comes much less naturally. Most likely the manager is doing these things for the first time. You have a number to go hit, so you’re going to go but that number with the most reliable techniques you have in your bag of tricks; closing business yourself. After all, you are probably an above average sales person and you know how to go get results. Yes it’s comfortable, but it won’t help you learn your new job. How many deals did you lose when you were selling? Probably quite a few. It’s completely normal for a sales person to loose deals, and its an important part of the learning process. This simple fact ends up being quite painful for a new manager, because they’re seeing deals that could be going to their quota slip through. They have to live with the fact that they could have closed that deal, and could have walked home with a bigger paycheck. The reality is that each one of these lost deals is a lesson learned for the sales person on the team. You take these away, and it’s going to be harder for them to learn how to sell on their own. So by now it must sound like I’m advocating throwing your quota down the toilet, never making any money, and spending all of your time training your sales people. Trust me, its not that extreme. But becoming a great manager will involve finding the balance between acting like a sales person and acting like a trainer / coach. Let’s look at productivity from another perspective. Think of a business where sales people on average close 10 deals a month. 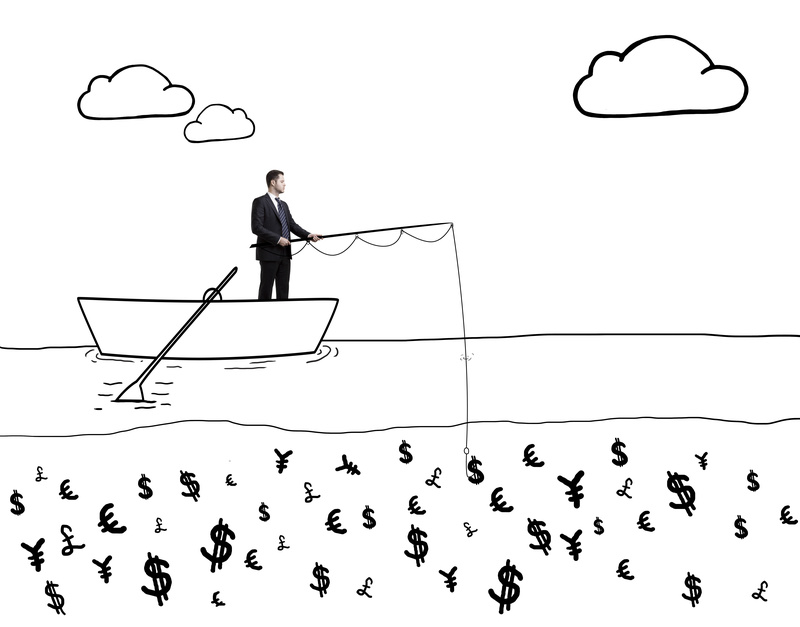 As Gareth Goh puts it in his post on the InsightSquared blog posts on Top 3 Sales Management mistakes, the real goal is to teach someone to fish rather than to fish for them. He says, “Teaching anything – fishing, sales, whatever – requires certain tools and techniques. The most productive sales coaching sessions are facilitated by extensive data-driven sales performance metrics.”. So hopefully this puts some things in perspective for the new sales manager, and some of the more experienced sales managers. Coaching sales professionals to close just like you is the main goal. This coaching happens through 1:1s , honest feedback, role playing, practicing, and using a structured format like Just One Thing. Do not fall victim to the tempting trap of carrying the whole team on your shoulders, and closing business by yourself.